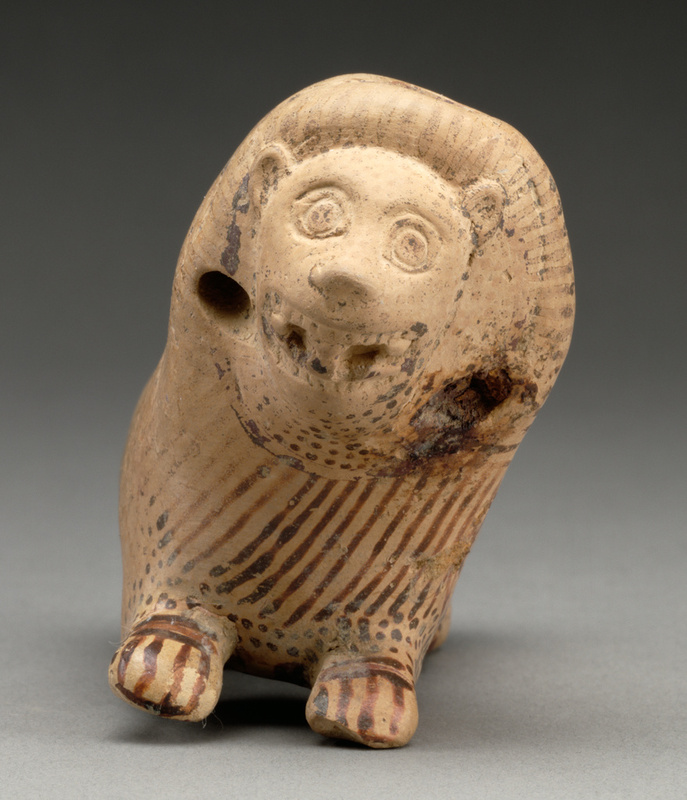 A lion resting with his legs tucked under his body forms the body of this Corinthian plastic vase. So-called plastic vases, vessels made in the form of a human, animal, or mythological being, were popular in the Greek world from about 650 to 550 B.C. Although such vessels were made in many places, Corinth was a leading manufacturing center. 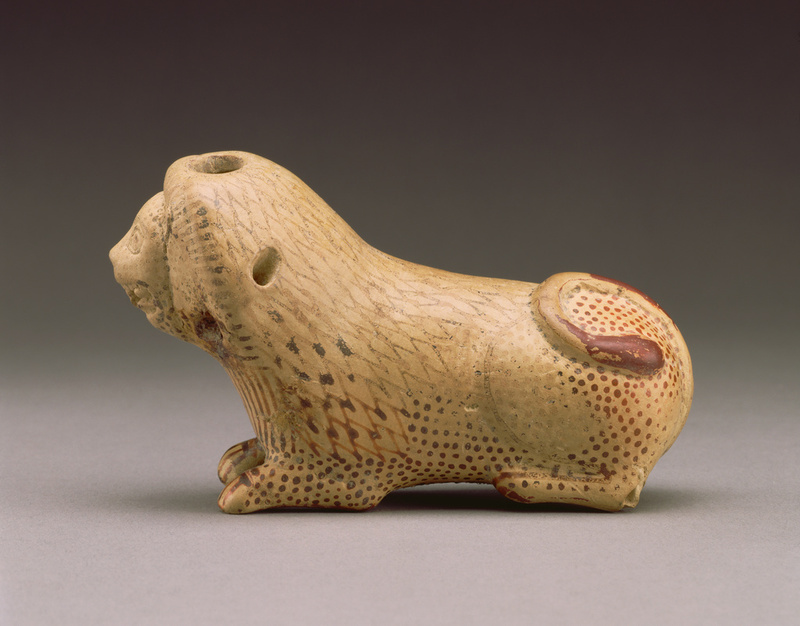 The lion's resting pose and the use of rows of dots to indicate the fur are typical features of Corinthian plastic vases. Plastic vases were used to hold perfumed oil; the small, simple opening in the top of the lion's head was designed to restrict the flow of this precious commodity. Two small holes placed on either side of the lion's mane originally held a cord for suspending the vase. An artisan made this vessel using a two-piece mold, into which thin sheets of clay were pressed. When slightly dry, the two halves of the vessel were joined with a clay paste and the vase was decorated. Peter Sharrer Ancient Art, Inc. (Ridgewood, New Jersey), sold to the J. Paul Getty Museum, 1986. "Acquisitions/1986." The J. Paul Getty Museum Journal 15 (1987), p. 162, no. 10.